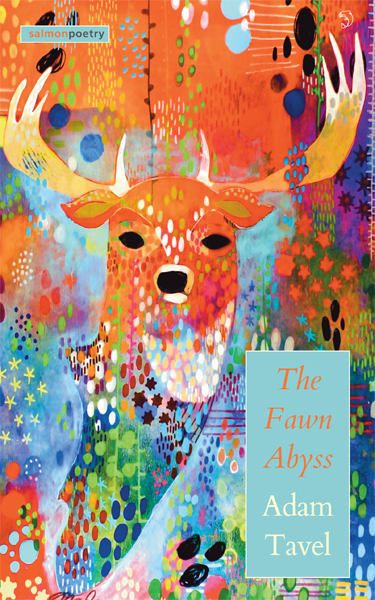 The Fawn Abyss explores the emotionally fraught terrain of family, belonging, and injustice against the pastoral backdrop of the Delmarva Peninsula on the Chesapeake Bay. Steeped in memory, Tavel’s poems conjure a cast of cultural ghosts—from Abraham Lincoln to Sam Cooke—in their documentary investigations of the past, including the poet’s own youth. These retrospections, buoyed by wry wit and cinematic detail, sustain the collection and anchor it in our own whiplash age. Throughout, Tavel’s poetic range, keen ear, and tenacious heart find full expression. Lyrical, mythic, and unflinching, The Fawn Abyss grieves the seemingly inevitable destruction of innocence while affirming the promise of renewal, transporting readers from “the river’s glinting bone-cage” to a sonogram’s “bean-body and nubbin hands” reaching toward a brighter fate. 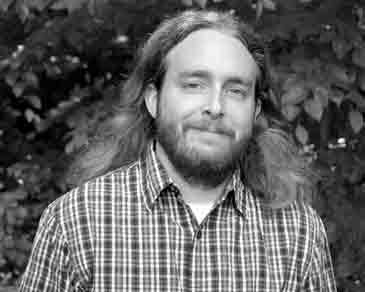 Adam Tavel is the author of Plash & Levitation (University of Alaska Press, 2015), winner of the Permafrost Book Prize in Poetry, and the chapbook Red Flag Up (Kattywompus, 2013). Winner of the 2010 Robert Frost Award from the Robert Frost Foundation, Tavel’s poems have appeared in Beloit Poetry Journal, The Gettysburg Review, Indiana Review, Crazyhorse, Crab Orchard Review, Arts & Letters, Sycamore Review, West Branch, and The Journal, among many others. He is a professor of English at Wor-Wic Community College on Maryland’s Eastern Shore and the reviews editor for Plume. You can find him online at adamtavel.com. newborn of the soul awake. the stench of smoke and sweat? over its brown crop wilting. to know again the taste of cony stew. as mine thinned to silver beneath my veil. weary from gumming a Roman bridle. Beside his moonlit cot he chapped his knees. an orphanage, balming the blind girl’s sores. There was the usual shortage of saints. peanut butter earned its own shelf. were the first to believe in nothing. on clay roofs of gophers.